The Porsche 911 will be available in two configurations - Coupe and Cabriolet - and will feature a new set of turbocharged power units evolved from years of racetrack engineering. 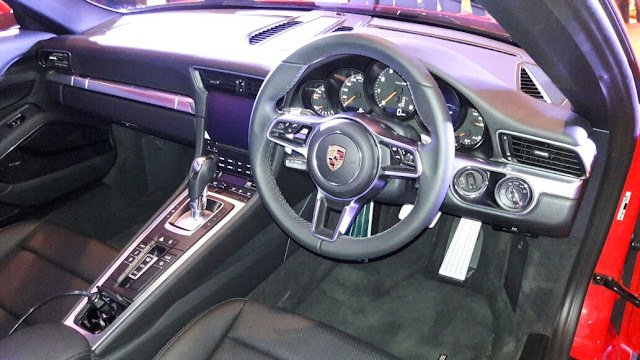 The latest technologies that Porsche uses in its racetrack tuned machines will now be at your disposal as a part of the company's commitment towards technology transfer from racetrack to road. 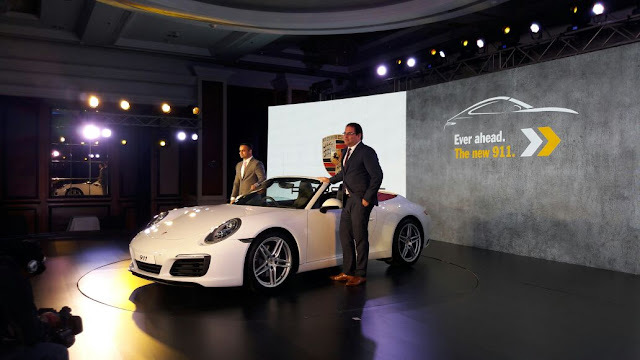 Porsche launched two models in the Carrera range - the 911 Carerra and 911 Carrera S. The Carrera models will have a completely new generation engine combined with a bi-turbo charging unit giving it an increase of 20 bhp across the range and also reducing the fuel consumption by as much as 1-litre per 100 kms. 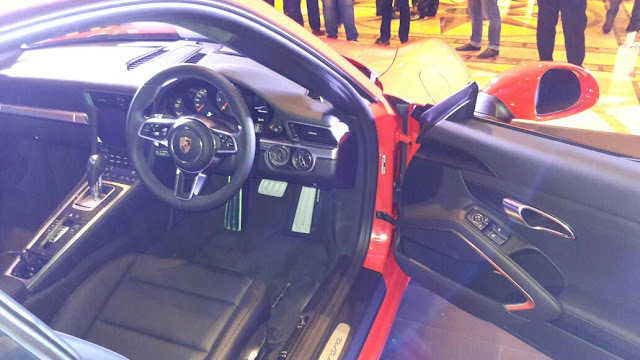 The 911 Carrera will feature a 370 hp engine while the 911 Carrera S will have a pumped-up power unit that will produce 420 hp of max power. 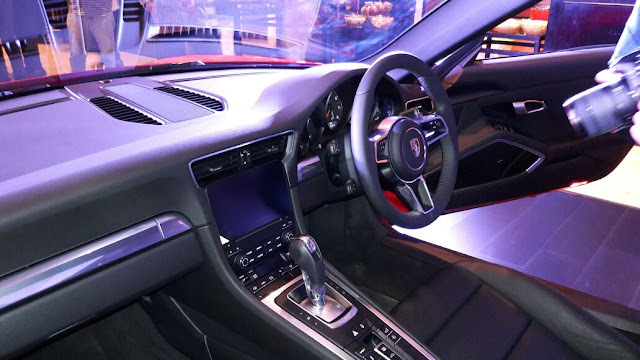 The 50 hp increase in the Carrera S model is due to a combination of turbochargers with modified compressors, enhanced exhaust system and tuned engine management. 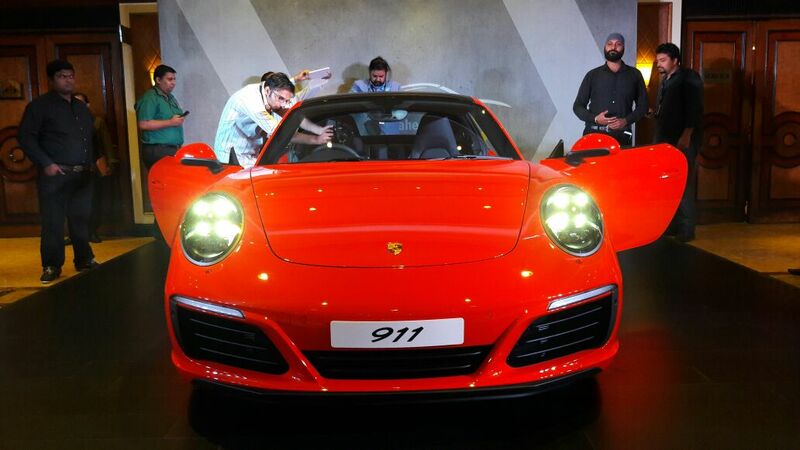 The 2017 Porsche 911 Carrera does a 0 to 100 kmph in 4.2 secs, an improvement of 0.2 secs over its predecessor while the 911 Carrera S with PDK and Sport Chrono Package does a 0 to 100 kmph in just 3.9 secs. The new models have 60 Nm more torque than the previous models with the 911 Carrera having 450 Nm of it and the 911 Carrera S having as much as 500 Nm of max torque. The major chunk of this torque in available from as low as 1,750 rpm and as high as 5,000 rpm. Rear-axle steering will be available for the first time as an option in the Carrera S models. 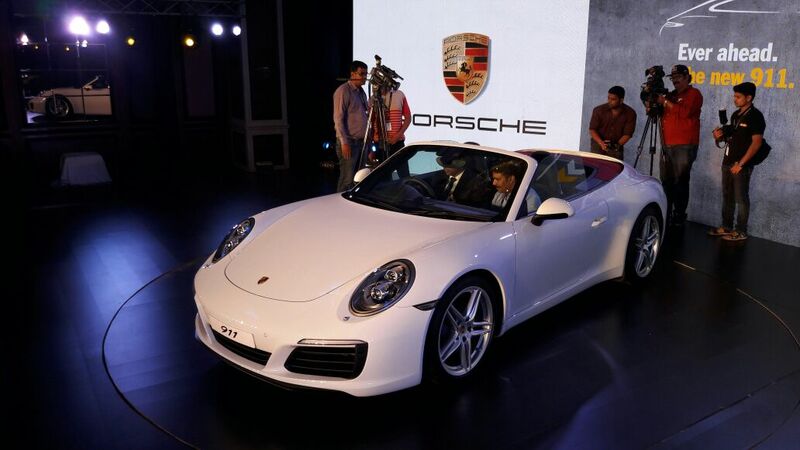 The flagship & legendary range of 911 series, the 911 Turbo, has become even more exciting and powerful. Powered by a 3.8-litre 6-cylinder bi-turbo engine the 911 Turbo now delivers a whopping 540 hp of max power, an increase of 20 hp. It does a 0 to 100 kmph in just 3.0 secs with a top speed of 320 kmph, 5 kmph faster than its predecessor. 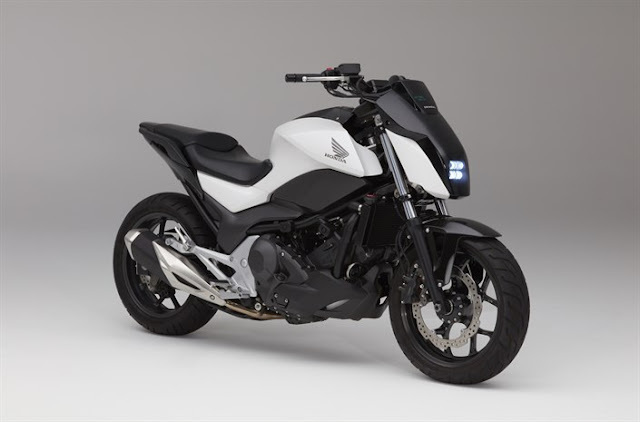 The 20 hp increase is achieved due to modified inlet ports n the cylinder head, new injection nozzles and higher fuel pressure. On the other hand, the 911 Turbo S blows your mind with a max power of 580 hp thanks to new turbochargers with large compressors. It is the first production version of 911 to accelerate in less than 3 seconds, achieving the milestone speed in just 2.9 secs from standstill. The 911 Turbo S is capable of hitting a top speed of 330 kmph which is 12 kmph more than its outgoing predecessor. Apart from the performance upgrades, the 2017 Porsche 911 models also get refined exterior features such as new headlamps with four-point daytime running lights, a redesigned rear lid with vertical louvres and a distinctive four-point brake lights.